Cost to hire a roach exterminator varies greatly by region (and even by zip code). Get free estimates from animal/pest control specialists in your city. Cost to hire a roach exterminator varies greatly by region (and even by zip code). The average cost of hiring a roach exterminator is $300. The American cockroach is the largest and most common. It has a yellow band across its back and measures about 1 to 1-½-inches long. A female may lay up to 40 eggs a week once she becomes established in your home. Cockroaches can enter the home in numerous ways. In addition to be carried in and finding their way in through open windows and doors, cockroaches can also enter through small cracks and crevices in your foundation, siding, and around windows and other openings. 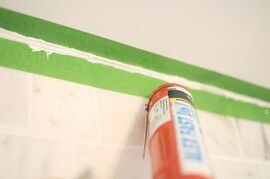 Good caulking 1 can help to keep some types out, but because other types enter by being carried in on food or luggage, it is often impossible to be sure you’re sealing your home up well enough. Oftentimes, the first sign that you have an infestation is the sighting of a single cockroach. Because these bugs are both evasive - they only come out at night - and because they multiply so quickly, seeing one likely means that you have dozens to hundreds more inside your walls. If you believe your home to be infested, your first step should be to remove as many food sources as possible. Pick up pet food bowls, seal all food in the refrigerator or in plastic containers, and clean all surfaces well. Your next step should be to call a pest eradication specialist to find out what kind of cockroach you’re dealing with and to come up with a treatment plan. Getting rid of cockroaches can be a long and time consuming battle. Some sprays and fogs will kill the roaches nearby, but not the eggs, which means that new roaches will hatch within a few days. Poisons that are absorbed into the legs of the cockroaches are more effective because they last longer and can kill the next wave of roaches before they have time to reproduce, but can take up to 10 days to be truly effective. 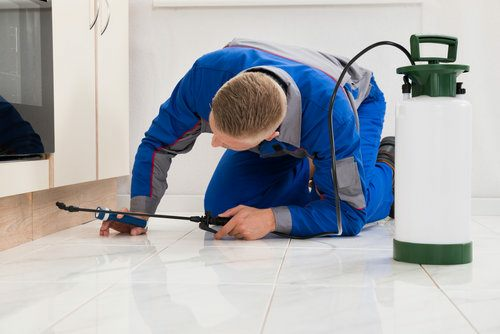 It’s not uncommon for it to take as long as one month to truly remove the cockroaches from your home, including follow up visits from the exterminator. While not always effective at dealing with a large infestation, there are several DIY methods available for getting rid of roaches. The main problem with DIY treatments, is that they don’t always eradicate the nest, so you end up needing to treat again and again, while professional treatments may only take one to three visits. A lot of the chemicals used in DIY can also be hazardous to your health, causing dizziness, nausea, and headaches. These same chemicals should also not be used around children or pets whenever possible. Because DIY methods can take so many tries to eradicate the roaches, costs add up quickly, usually ending up comparable to professional treatments in the end. DIY methods may help to treat small nests and can even be used in conjunction with professional treatment to prevent reinfestation. The most effective methods are baits which contain boric acid, costing around $30 to $50 a jar. Sprays, costing between $5 and $10 a can can also be effective at killing the roaches that you see. Avoid bombs whenever possible. While inexpensive at around $20 to $30 each, they can cause hazardous side effects and necessitate the leaving of your home for several hours afterward. How much does it cost to hire a roach exterminator in my city? Cost to hire a roach exterminator varies greatly by region (and even by zip code). To get free estimates from local contractors, please indicate yours.